When I am in Càlig, I try to drop by Rosita Fontanet’s house in the late afternoon to chat a moment with her and her neighbors. In the summer, they sit out on the street for a couple of hours when it begins to cool down. That particularly Sunday, July 15—a month ago now––Rosita invited me to sit down next to her. On my other side was Serafín, who lives across the street from me, and facing her was another Rosita who lives across the street from her. Neighbors in the lower part of the village, they are all in their late 80s. The conversation drifted to memories of the Republic when they were children. There was the Casa Grande, the large 17th century home which belonged to the Vallterra family (torn down in 1971) and the hostal on the Plaza Nova which belonged to doña Gloria who lived in Vinaros and made her fortune from selling tobacco. She and Pepe Bayarri, a lawyer, had houses on San José. This was interesting to me because during the first two years of the Civil War (1936-38), the hostal was collectivized and served as a cooperative for the collective and Bayarri, I learned this summer, after he had his land collectivized, joined the collective. Then as if we were looking down the street at the beginning of the Republic, Rosita recalled the young Republican women who lived two doors down, las Republicanas, who wore red berets and red and gold sashes. Suddenly she burst into song, recalling songs from the Republic. Reliving Republican fervor, her voice did not falter. Then she recited a long ballad about the Republic. I was amazed at her memory. Oh, why didn’t I bring the digital recorder? Yet, I had had a long day and I was just going to sit with these old friends for a few moments before they put their chairs back inside and retired for the evening. Then they all began remembering the names of the streets during the Republic. The other Rosita said that Calle Nova, one street up, was called 15 de abril (when the Republic became a reality after a popular vote in 1931). The street we were on was Pablo Iglesias, considered the father of Spanish socialism. Three streets over is Sant Roc, the long street that goes directly to the top of the village , which was called Ramón y Cajal, for the distinguished scientist who won the Nobel Prize in 1906 for his work on the structure of the nervous system. Two other streets in Càlig were named for martyrs of the Republic – Galan y Garcia (now Calle del Rey) and Capítán Sancho (Santa Bárbara). I feel privileged to be able to sit out on the street on a summer evening and listen to the remembrances of an era long gone but still in the minds of some Spaniards, and not just the elderly who lived it. Four days later, during a huge street demonstration in Madrid protesting the raising of taxes without going through the Parliament, signs depicting the Republican flag were seen and on the subway going home, someone was singing songs about the Republic. As one of my sources wrote: ¡Viva la República! 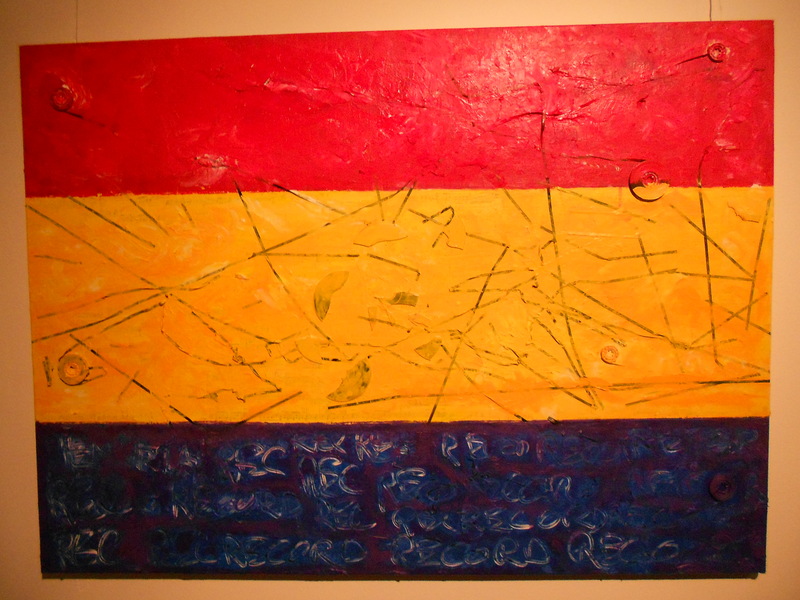 This entry was posted in Uncategorized and tagged Second Spanish Republic. Bookmark the permalink.